We're in the middle of summer here in the US, and though summer time means fun, the scorching heat can be very unpleasant and exhausting. It's kinda draining and can make us crave for fruity, icy treats that can help cool us down. 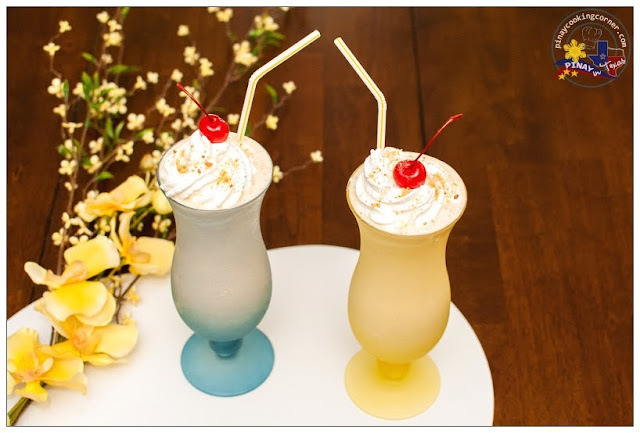 Whenever we're at home, making milkshakes, smoothies, and Filipino coolers like ice candies, sago't gulaman, halo-halo, saba con yelo and mais con yelo is a part of our daily routine. We find it to be the best way to beat the heat! Of all the summer treats we love making, milkshake is the one we make more often. It's very simple and quick to prepare. Just put all the ingredients in a blender and you'll have a delicious shake in no time. 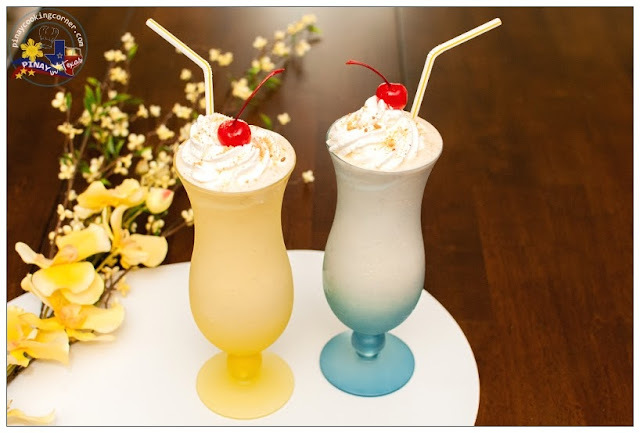 This banana flavored shake that I'm sharing with you is one of my family's favorite. 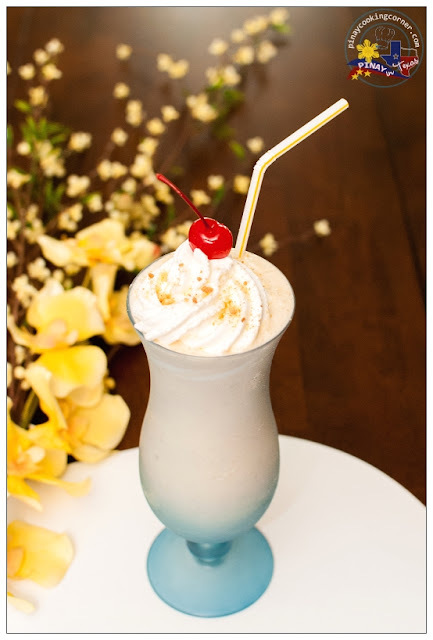 It's an adaptation of Sonic's Banana Cream Pie Shake. Check it out and let me know what you think! 1. 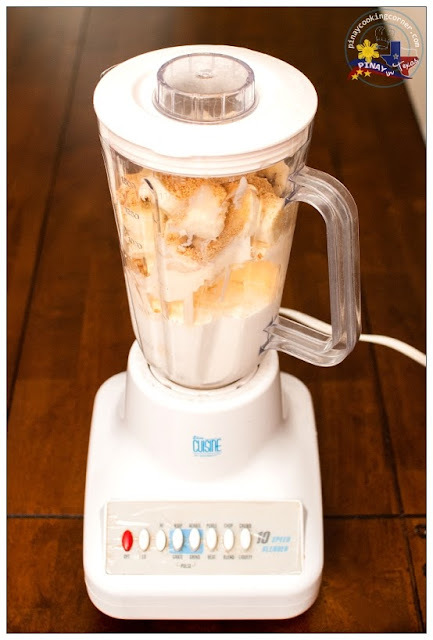 Put banana, vanilla ice cream, milk, whipping cream and graham cracker crumbs in a blender and mix until smooth. 2. Pour the shake into two 12-ounce glasses. Garnish each serving with whipped cream, and sprinkle some graham cracker crumbs on top. Top with cherry if desired. 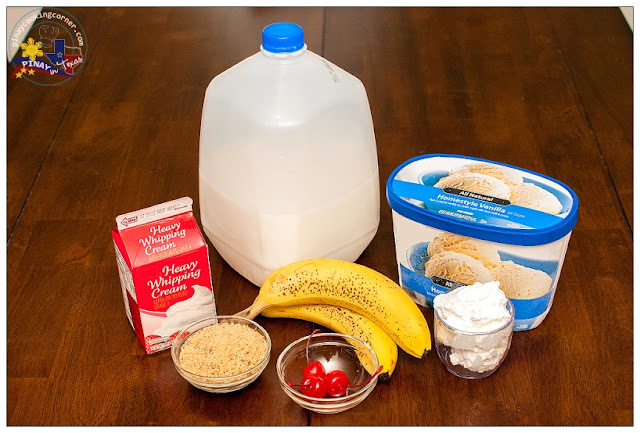 What a great idea for a shake! Delish! Ahh, I love them so much, we kinda call them Sharjah shake at our place !! Makes me crave for some right away ! That looks super delicious and lovely presentation.